Looking for a chicken coop for your poultry, but tired of exaggerated online reviews? Then look no further, for we have just the right review for you. And we promise to be as unbiased as humanly possible. Raising chicken from the comfort of your own backyard is an exciting prospect indeed. These birds are quite easy to maintain, and the rewards you reap in return are very profitable. But not all is smooth sailing when it comes to animal husbandry, especially when it comes to poultry. To continue reaping the benefits of your backyard homestead, you have to keep in mind the safety and comfort of your birds. This is where the concept of the chicken coop comes in. 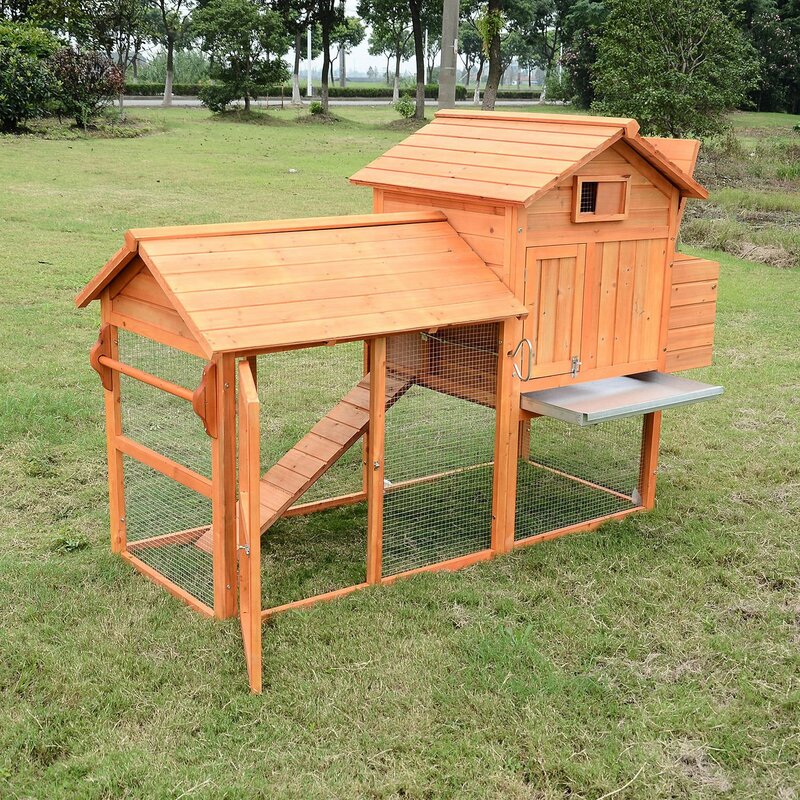 The Pawhut Deluxe Chicken Coop is quite versatile when it comes to fulfilling customer needs. 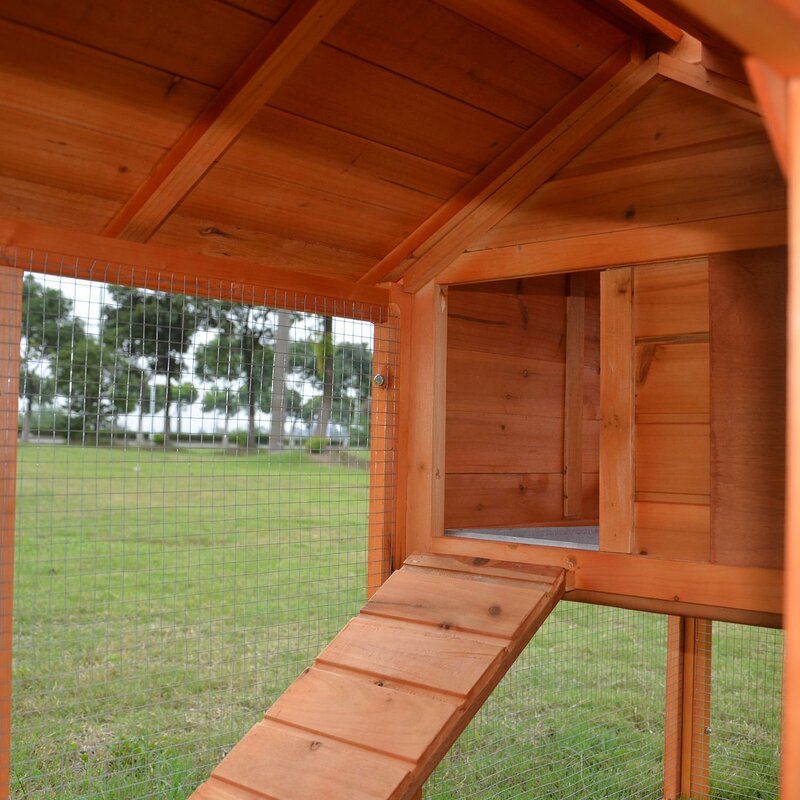 Pawhut Chicken Coop Reviews: Why is it one of the best? It is quite interesting to note that Pawhut is not its own company, but is instead one of many brands within the Aosom conglomerate. Aosom (pronounced ‘awesome’), don’t actually manufacture these products themselves, they rather take up the responsibility of distributing them as a wholesale operation. This helps them out by providing certain benefits to their customers, but that doesn’t mean that it’s not free from some issues. We will go over their product shortcomings later on in the review, so first let’s start off with its standout features. The Pawhut Deluxe Chicken Coop is one of the few backyard coops that provides its customers with multiple roosts at an affordable price range. Chicken coops which have more than one roost typically tend to have happier livestock as there will always be more room for your chickens. Additionally, some coops have that one chicken which does not get along with the rest. An extra roost always provides that flexible sleeping arrangement to isolate the troublemaker from the rest of the lot. Compared to the average chicken coops that are being sold in the local market, we believe that your chickens will have an easier time laying eggs in the Pawhut than in some of the others. The reason for this is quite simple: unlike the rest of its competition, the Pawhut’s design supports a higher level of ventilation and airflow. The chicken coop is uniquely provided with a window and a windowed door. Though a hardware cloth covers these openings, they are still large enough for enough sunlight and air to pass through. This creates a much healthier environment for the chicken, which as a result doesn’t allow a disruption of their circadian laying cycle that is quite common to a more closed-in coop structure. With an overall dimension of 82” length x 34.375” width x 52.5” height, not only is the chicken coop spacious but stable as well. As it is constructed out of fully treated grooved wood and coated with water-based preservatives, the durability and sturdiness of the Pawhut are truly unparalleled. The water-based preservatives help it to resist elemental hazards like rain and snow, therefore, preventing the wood from rotting and crumbling anytime soon. The chickens inside are also protected from excess heat as well as cold and damp weather. Well, it’s finally time for the cons. As we had mentioned earlier, there are a few things that trouble the Pawhut chicken coop, and we would like to mention some of the primary ones. The Pawhut is quite similar to other chicken coops when it comes to nesting boxes. Though the product advertises 2 separate nests, in reality, it provides a single nesting box with a removable divider. This might create a problem depending on the size and type of chicken you’re trying to raise. Even though spacious, the coop is smaller than advertised, with no space for a feeder. And the assembly hardware is of poor quality as well. 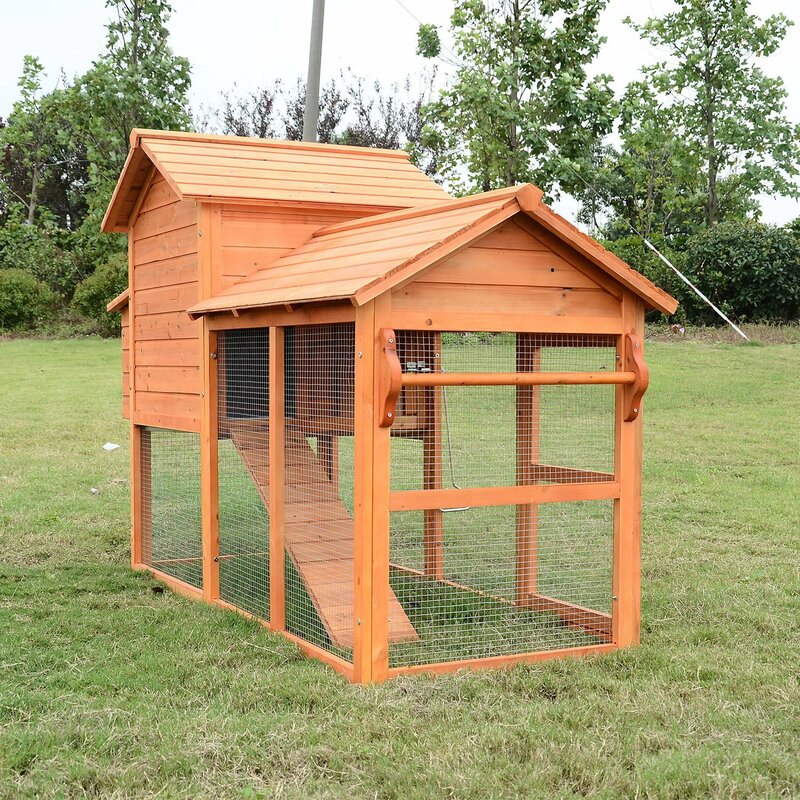 If you are planning on starting a small poultry farm with just a couple of chickens, then the Pawhut Deluxe Chicken Coop will fit your needs like a glove. Even with the divided nesting box, a smaller chicken spread will cause no problems during egg season. It indeed is one of the best coops for its price. So, don’t hesitate to try it for yourself. We’re quite positive that it’ll turn out well.